How Long Does Banana Bread Stay Fresh? 1 How Long Does Banana Bread Stay Fresh? 4 How Fast Does Cooked Spaghetti Squash Spoil? How to Make Soft Bread Crumbs. You might be surprised how easy it is to make your own soft bread crumbs, and how much difference it will make in the texture and flavor of your favorite recipes. Freshly made soft bread crumbs taste great in meatballs, casseroles, soups and many other delicious dishes. Preheat the oven to 250 degrees F and then turn off the oven. 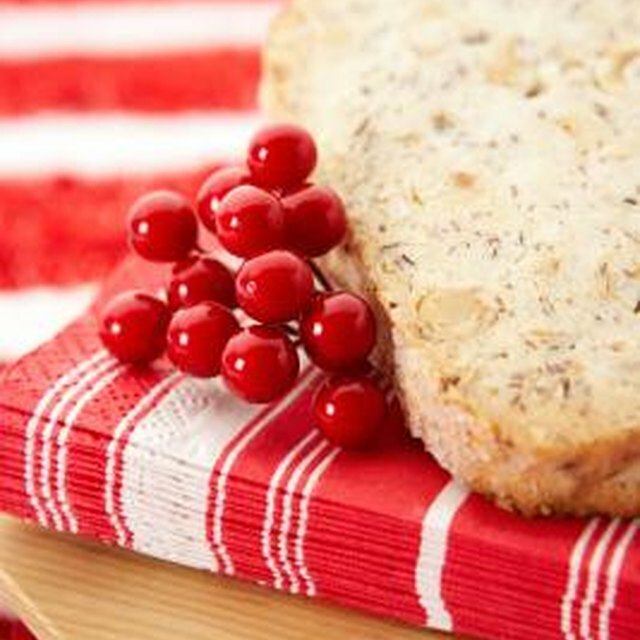 Tear several pieces of fresh bread into small pieces and lay the pieces on a baking sheet. Put the baking sheet in the warm oven and allow the bread pieces to heat for several minutes, stirring them at least once. Allow the bread pieces to cool. Place the torn bread pieces in a food processor and pulse the food processor until the bread crumbs reach the desired consistency. Pulse it only a few times for large bread crumbs, or more often for very fine bread crumbs. Check often so you don't end up with pulverized bread crumbs. Use the soft bread crumbs as directed in the recipe, or store them in the refrigerator in a sealed container. If they are kept tightly sealed, they will keep up to 2 weeks. Soft bread crumbs can easily be turned into seasoned bread crumbs with the addition of fresh, chopped herbs, fresh orange or lemon zest, chopped cilantro, garlic salt, onion salt or Parmesan cheese. Each slice of bread will make about 1/2 cup of soft bread crumbs.